One of the only downsides to today's smart home technology is trying to figure out how to fit it into your decor. For those homeowners who have invested in the services of an interior designer their technology often detracts from the work that was done. This doesn’t just apply to the tangled webs of wires, stacks of black boxes and unsightly speakers. Sometimes a simple design can be negatively impacted by a flat screen TV. One of the problems with hiding a TV is that they are designed to be seen! 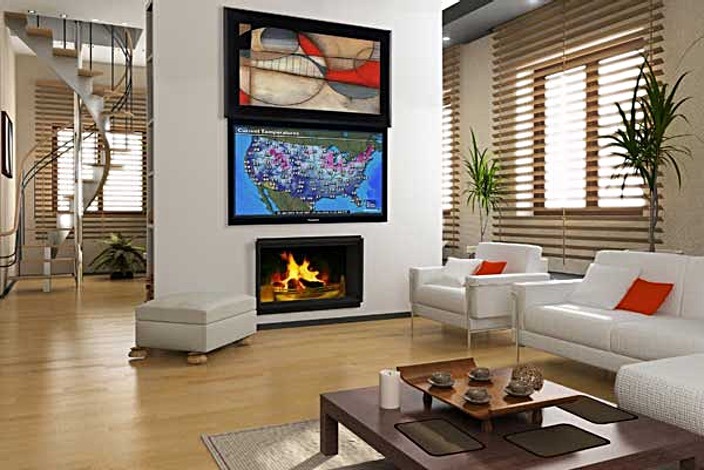 Typically the best location for a TV is also a premium location for artwork or other decorations. Luckily we have plenty of options to help solve these problems. 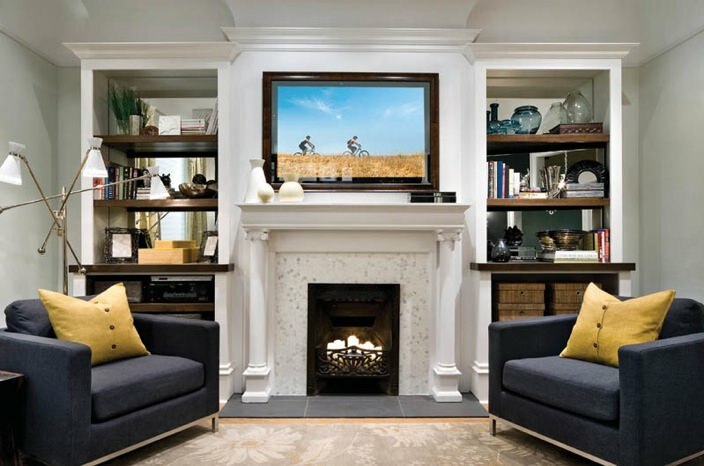 One of the coolest solutions to hiding a TV is to conceal it behind art. Companies like Media Decor can actually motorize artwork so that it magically moves out of the way when the TV is turned on. Depending on the style that works for your space this can involve rolling the canvas into a custom frame, or even motorizing an entire piece of artwork out of the way in any direction. We can even split a picture in half revealing the TV between the two halves. Audio Video Innovations can help you select the artwork, choose the correct size for your TV and install the finished product. 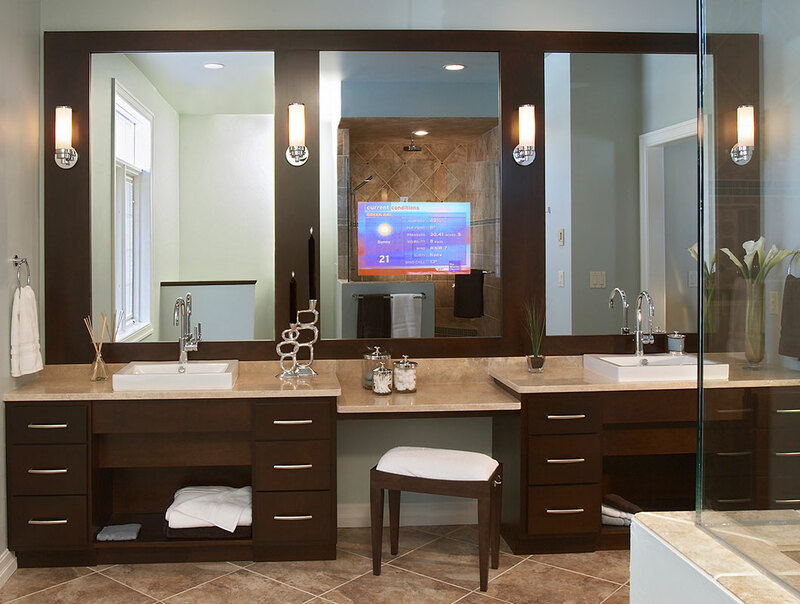 By now you have probably seen a TV installed in a bathroom mirror, but did you know the the same technology can be used in any room in your house? 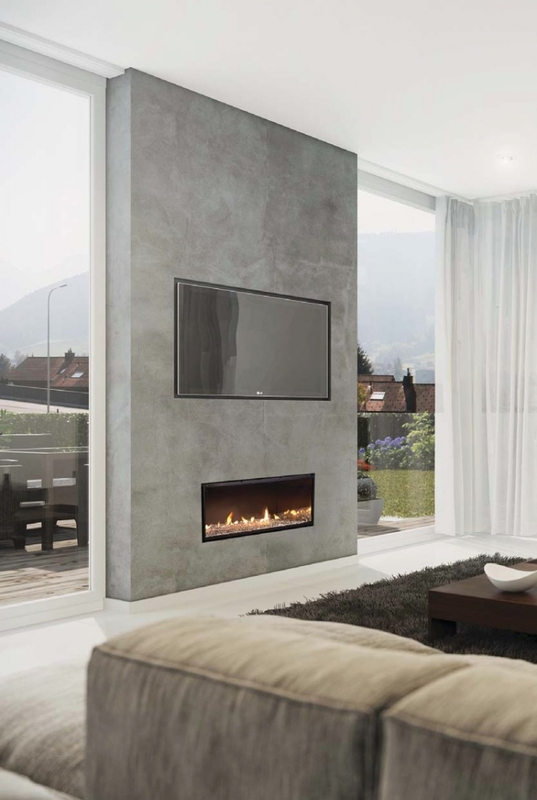 One must be very careful when specifying a mirror TV, but in the right situation they can be absolutely stunning, whether on or off. Two things that must be considered when choosing a mirror TV are placement and audio. Glare can distract from the picture on a mirror TV if the location is wrong and, believe it or not, sounds doesn’t travel through glass very well, so it is important to have speakers available to transmit the audio from the TV. These can be installed in the wall, placed in the ceiling, hidden in a cabinet or simply placed on a shelf. Using a motorized lift is a great way to hide a TV, as when it is retracted it is completely out of sight. It literally isn’t in the room any more! Motorized lifts used to be slow, loud and expensive. Today they are fast, quiet and very reasonably priced. Motorized lifts can be installed in furniture, dropped from a ceiling or even extended out from under a bed. With motorization your imagination is the limit. 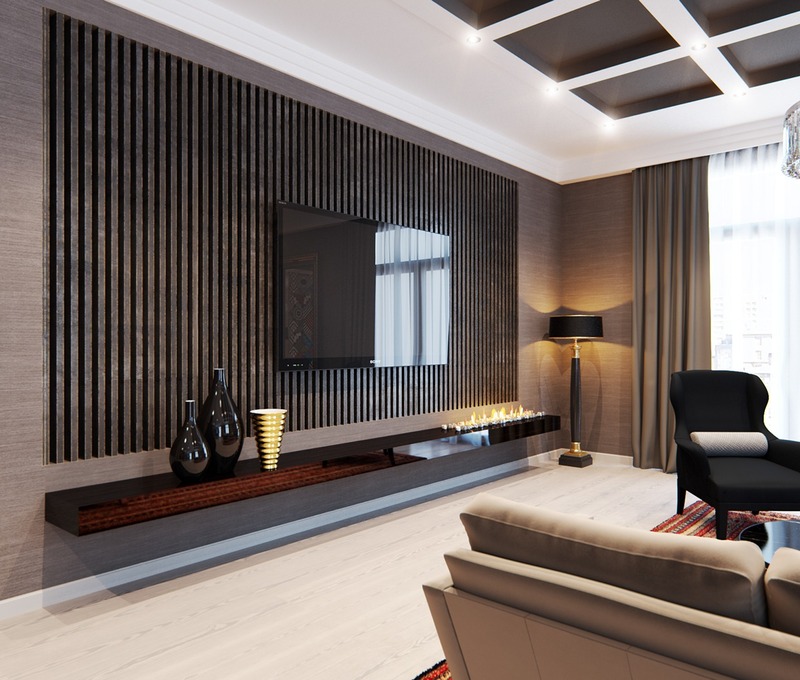 If hiding behind a mirror or artwork isn’t a good solution for you, there are a few simple and affordable methods of camouflaging a TV in your home. One of the easiest is to install the TV in-front of a dark wall. The TV is so visible when turned off because it appears as a large black hole in what is, typically, a light wall. Choosing this route allows some creative options that might turn out to be positive focal points for the room. 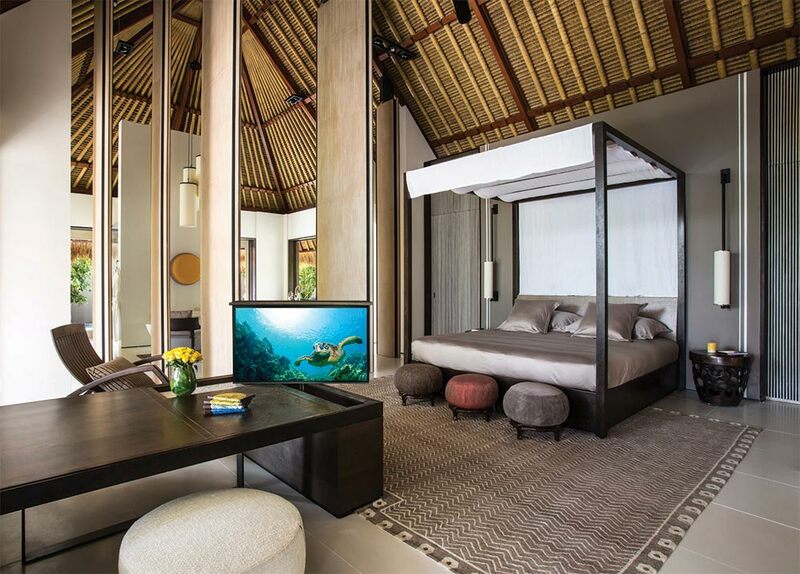 We have installed TVs on dark painted walls, walls covered in weathered wood and walls decorated with dark tile. 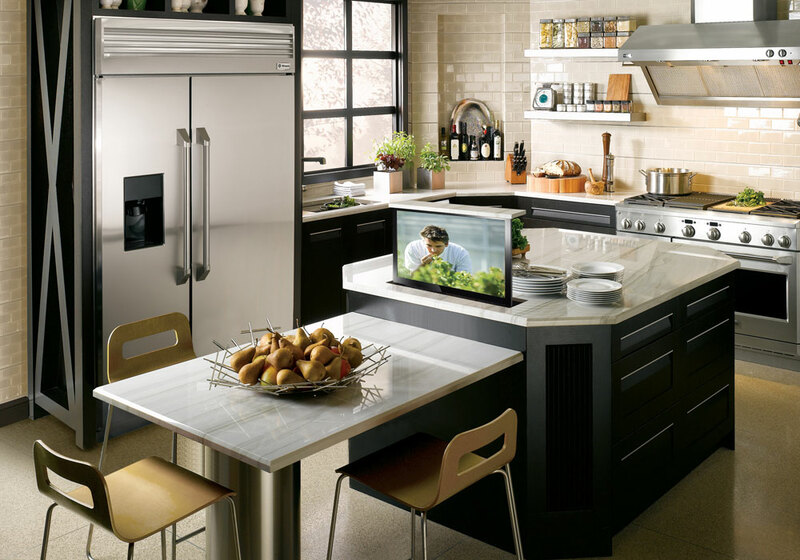 In some cases the TV can be used to break up a busy tile pattern to keep it from being overwhelming. Working with the professionals at Audio Video Innovations we can help you come up with a great solution for your space. Simply mounting a TV on the wall (with the wires hidden of course) will create more space in a room and visually reduce the clutter. If you have a TV that you are trying to hide or new home you are planning give Audio Video Innovations a call today at 972.529.4470.